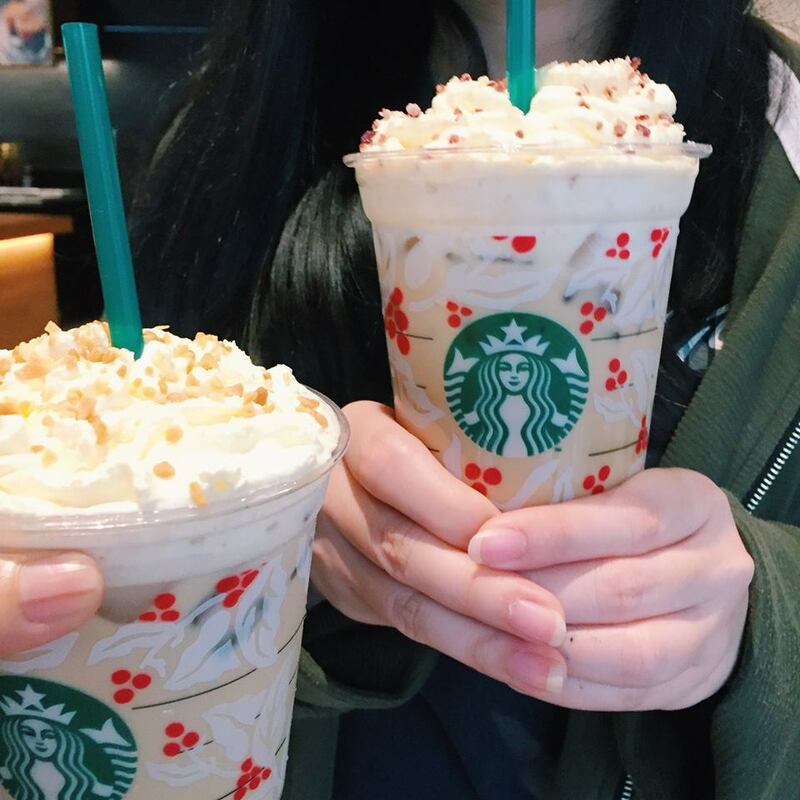 Home/Foodie Deals/Starbucks Shocking Deal: Grab Your 2nd Frappuccino At RM0.20 Only! 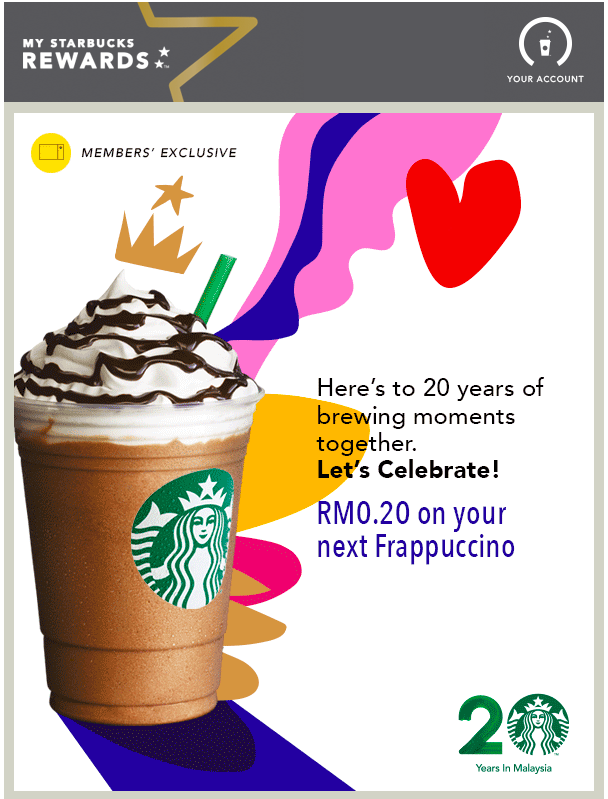 Starbucks Shocking Deal: Grab Your 2nd Frappuccino At RM0.20 Only! 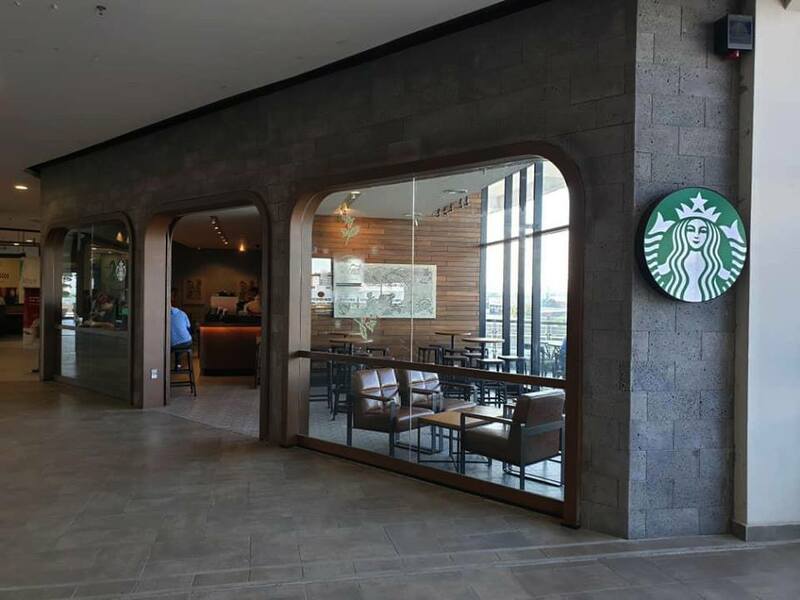 Starbucks Coffee first opened their first store in Malaysia on 17th of December 1998. Since then, they’ve opened more than 270 stores nationwide, gracing everyone from nook and corner of Malaysia with their superb cups of expertly roasted and richly brewed coffee every time. 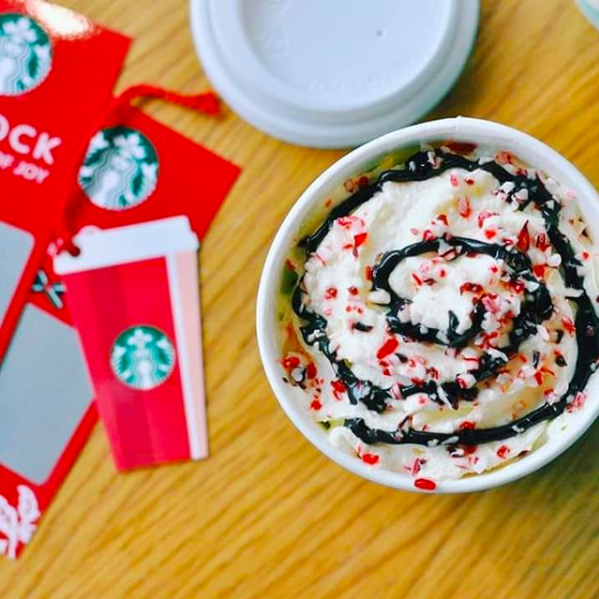 Starbucks Coffee never disappoints: from their genuine service, inviting atmospheres, top notch coffee and… seasonal deals. 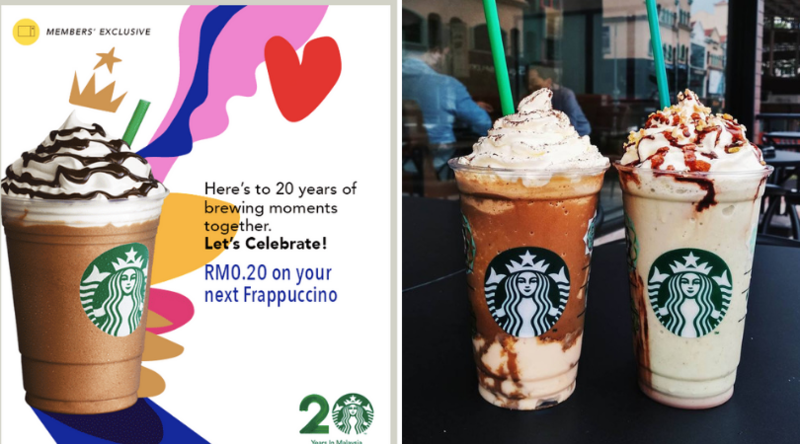 In conjunction with their 20th Birthday, they’ll be bringing you a real shocking deal: You Can Have Your 2nd Frappuccino At Only RM0.20! For sure the most notable coffee establishment in Malaysia. With firm roots in speciality coffee cultures- the former established, the latter still evolving- Starbucks Coffee is an illustration of how far the world’s coffee scene has come, and where it might go. 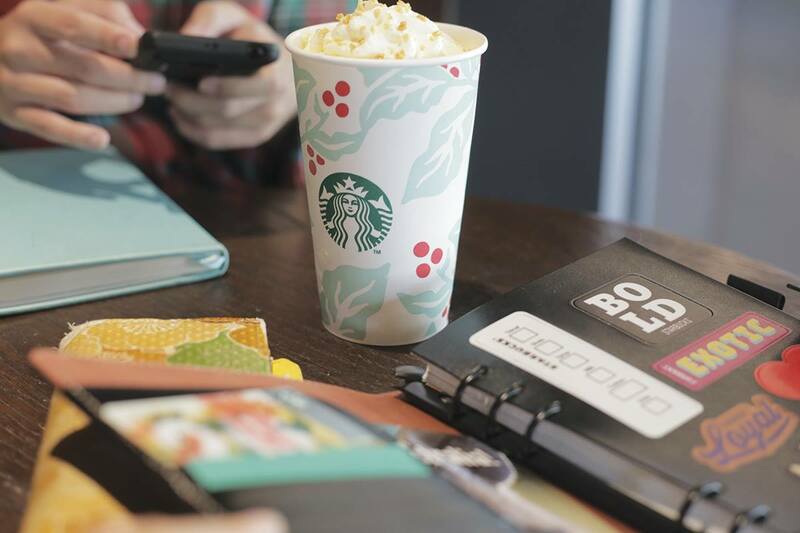 Starbucks Coffee has become a beacon for coffee lovers everywhere. Their attention to detail, uncompromising attitude and commitment to serving delicious coffees from around the world is a yardstick for coffee as a global industry. Here’s the place that does speciality with sincerity. Frappuccino is a trademarked brand of the Starbucks Corporation for a line of iced, blended coffee drinks. Their mammoth sugar-laden, cream-filled frappuccinos are amazingly addictive and refreshing. And the best thing is you now can grab this speciality of Starbucks at only RM0.20! That’s a steal! • RM0.20 promotion applies to Frappuccino blended beverage that is equal or lesser value than the purchased Frappuccino blended beverage. • No reward entitlement for purchased beverages. • Not valid with other discounts or promotions. • Modifier will be charged accordingly. • Applicable at all Starbucks stores in Malaysia except Genting Highland stores and Sunway Lagoon kiosk. Just tag all your friends having that Starbucks-addict and drag them all along to the nearest Starbucks on 20th of December 5pm-8pm to enjoy this incredible offer!